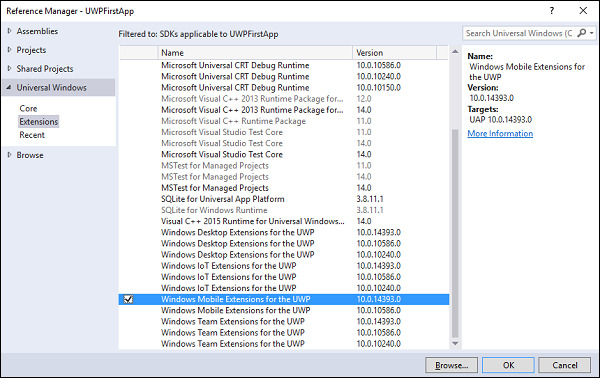 Universal Windows is the reference to Windows Runtime and it has been factored into a series of APIs contracts. 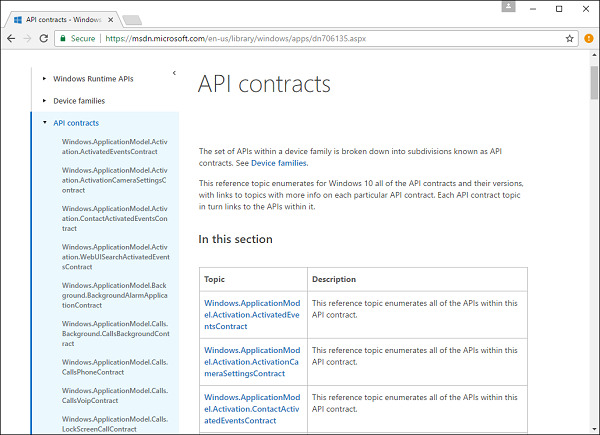 Most of those APIs inside windows runtime are factored into a single contract. 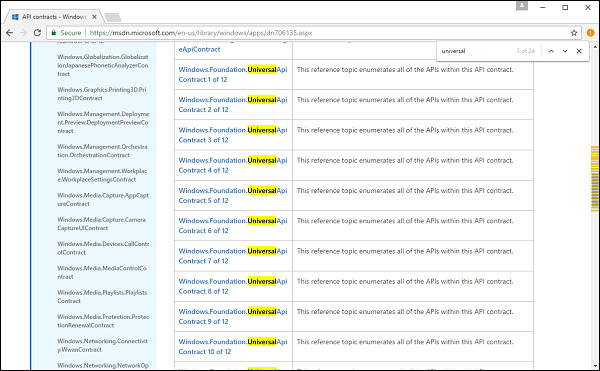 Let us now search for the Universal keyword on the API Contracts page. You can see links to various APIs and you can also see the Universal family is so big that it has 12 pages of documentation. 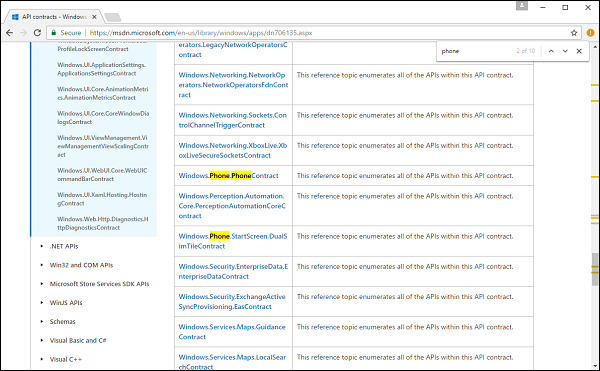 You can also search for phone API contract on this page. 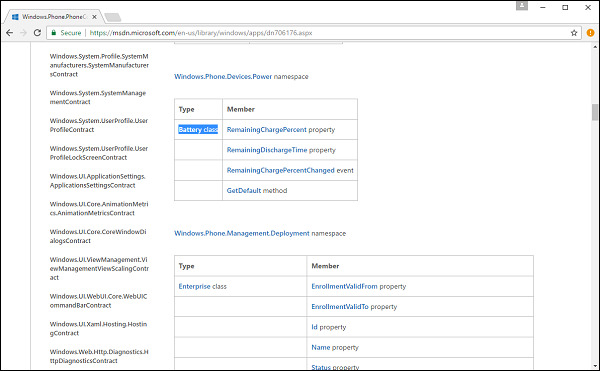 Let us now click on the Windows.Phone.PhoneContract and scroll down; you will now see the battery information of phone or the mobile device. 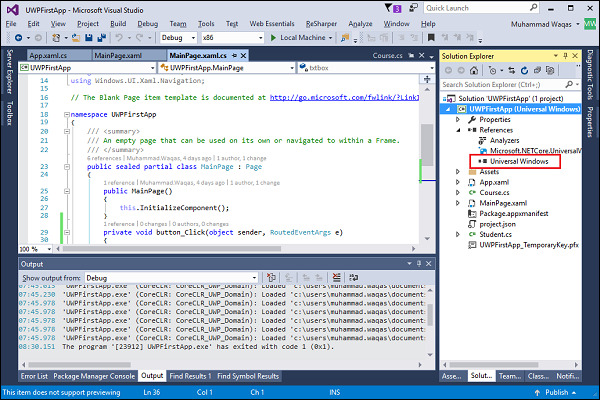 If you want to add this information on top of what you already have, then you should add the references manually. 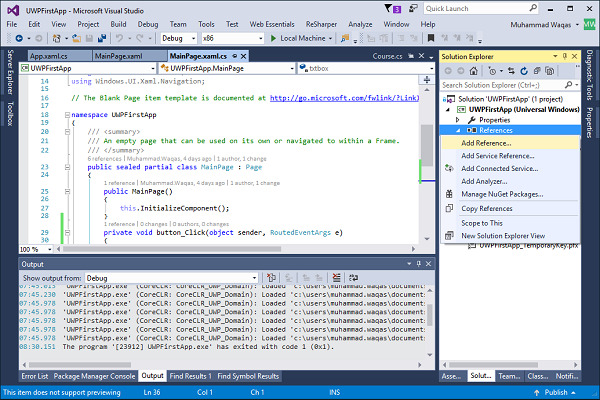 Let us now go to the Visual Studio and right-click on the References in Solution Explorer. The Extensions allow us to extend the functionality and you will see different references Mobile, Desktop and other Extensions. There are different SKD extensions and you can add on top to get more APIs. You can also see different versions. 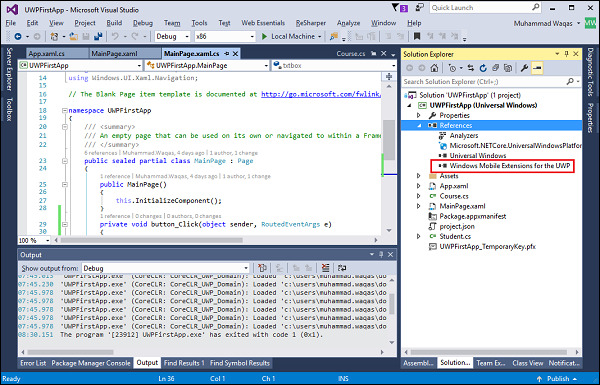 So, make sure you get the latest version to get the updated APIs and then click OK.
You can now see that Windows Mobile Extensions for the UWP is added as reference.